Kings Drive is now open; however, Elizabeth Ave. will remain closed until at least Nov. 23. Elizabeth Ave. is still open for handicapped and drop-off traffic only. All other traffic can use East 4th St. and E. 7th St. to access Kings Dr. until construction on Elizabeth Ave. is completed. 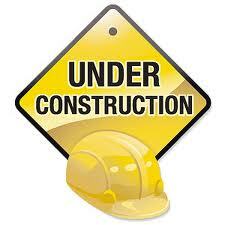 Stay tuned for additional construction updates through the Communicator. the 200 block of North Kings Drive between Elizabeth Avenue and Central Avenue closed February 19 and reopened on Feb. 26 at 6 a.m.
Due to unexpected utility conflicts, one southbound curb lane on North Kings Drive between Elizabeth Avenue and Central Avenue will remained closed until Thursday, February 28, 2013 at 6 p.m. Motorists can detour using Elizabeth Avenue, North McDowell Street and East Seventh Street. Access to businesses will be maintained.CATS bus routes will be affected. For more information about the Charlotte Streetcar Starter Project construction, contact Tonia Wimberly, Engineering and Property Management, at 704.353.1931. For more information about this closure, contact Jimmy Rhyne, CDOT, at 704.336.3905. Please be advised that starting on December 3, 2012, and continuing through December 12, 2012, the intersection at Kings Drive and Elizabeth Avenue will be closed in all four directions. The City of Charlotte along with Char-Meck Utility Department will be installing new sewer lines to support the next phase of the Street Car Project. The city will be installing directional barriers as required. Gold Rush – Red Line (Presbyterian to CTC) – will use the regular route to Elizabeth & Charlottetowne, detour via Charlottetowne Ave. and 4th St., and resume the regular route. Stops will be out of service on Elizabeth Ave. closest to CPCC, or between Charlottetowne Ave. and McDowell St. The closest Gold Rush stops to CPCC will be either across Charlottetowne Ave. on Elizabeth Ave. near Torrence St. or inside theI-277 Loop on 4th St. near the County Courthouse and Government Center. Gold Rush – Red Line (CTC to Presbyterian) – will use the regular route to Trade & McDowell, take McDowell to 3rd, take 3rd to Charlottetowne, take Charlottetowne to Elizabeth Ave. and resume route to Presbyterian. 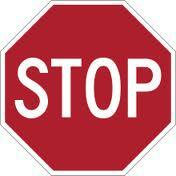 Stops will be out of service at the Aunt Stella Center and CPCC, or between McDowell Street and Charlottetowne Ave. The closest stop to the Aunt Stella Center will be in front of the County Jail. The Gold Rush stops to CPCC will be either inside the I-277 loop on Trade St. in front of the County Jail or across Charlottetowne Ave. on Elizabeth Ave. at Torrrence St.
For more information on other mass transit lines that are impacted by the construction, please click here.